According to LVRJ.com (link below), Mike Sexton will be the lone 2009 inductee into the Poker Hall of Fame in November. Sexton was the only person out of a nine-name ballot that received enough votes to be granted entry into the Poker Hall of Fame this year. Players such as Phil Ivey, Daniel Negreanu and Eric Seidel all missed out on entering the Hall of Fame this year, but you have to figure that all three are pretty much guaranteed admittance in the years ahead. Mike Sexton has nearly $3.8 million dollars in lifetime tournament earnings. He has one World Series of Poker bracelet (1989 $1,500 Seven-Card Stud event) and dozens of World Series of Poker cashes. Sexton's largest single cash came in the 2006 Tournament of Champions when he took down the event for $1 million dollars. I can't say enough good things about Mike Sexton, and I'm glad to see that he will be honored at the November 7th induction ceremony in Las Vegas. 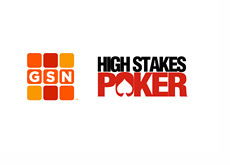 According to PokerNewsDaily.com, Vanessa Rousso will not be the new co-host of "High Stakes Poker". When A.J. Benza announced earlier this week that he had been replaced by a "chick" for the sixth season of "High Stakes Poker", many people thought that the new co-host would be Vanessa Rousso. Based on this tidbit of information from Negreanu, I'd say that Amanda Leatherman and Shana Hiatt seem like strong possibilities. We should find out the identity of the new co-host later this week..